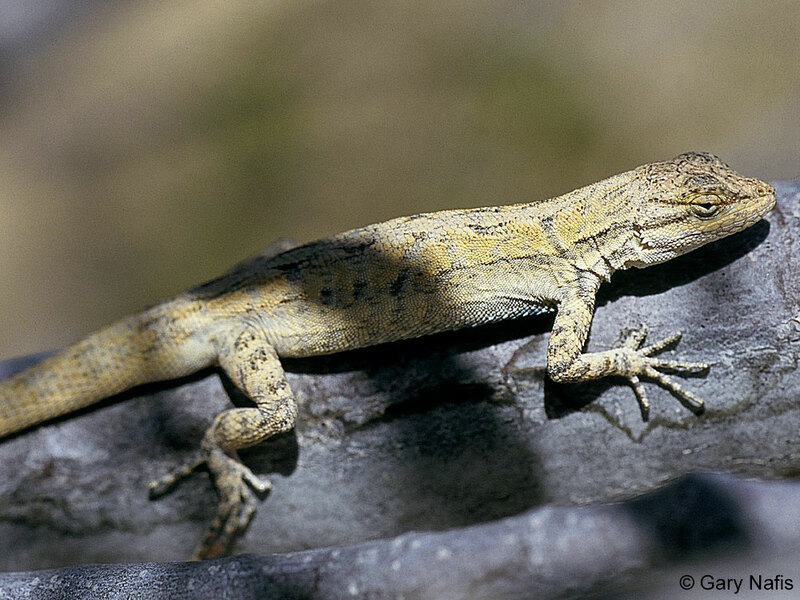 While the Long-tailed Brush Lizard has evolved to live mostly on creosote bushes, it can also live on trees and other vegetation. This adult is perched on a Cape Honeysuckle eating insects in a Palm Desert, Riverside County backyard. 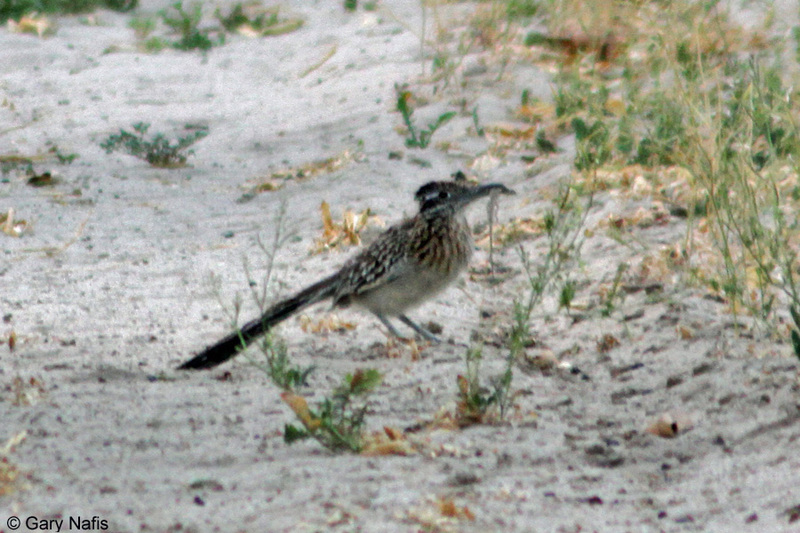 © Dan Schroeter I saw this Long-tailed Brush Lizard fall prey to a Roadrunner in San Diego County, then chased the bird around an orchard for 15 minutes until it stopped long enough for this fuzzy telephoto shot. 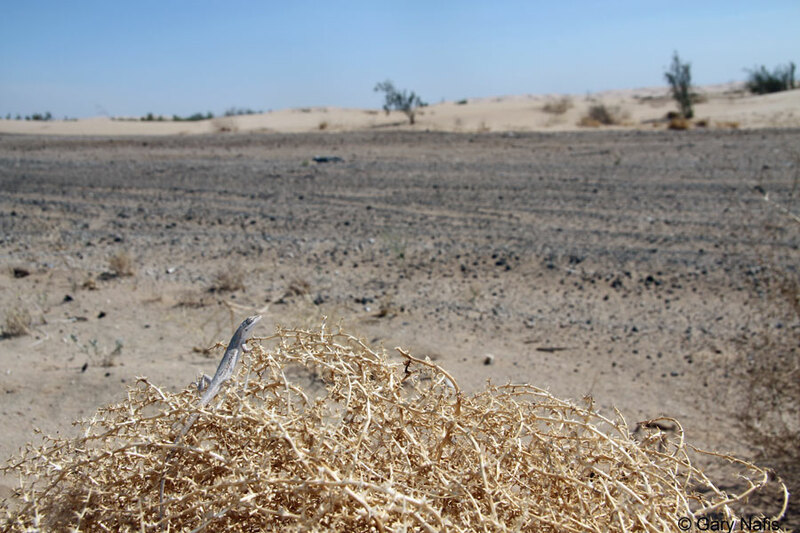 While chasing a lizard in the dunes, I spotted another lizard on top of a dead tumbleweed apparently basking in the 95 degree heat. 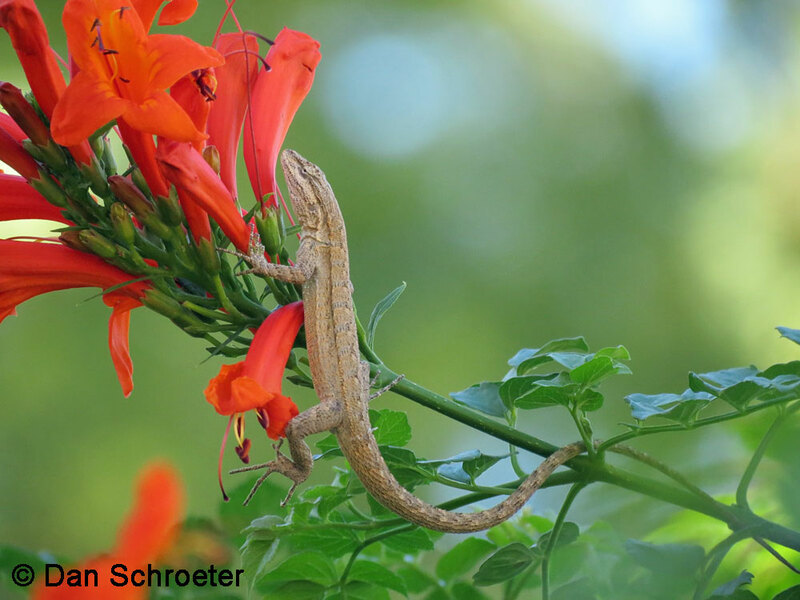 It turned out to be a long-tailed brush lizard that looked like it had taken up residence in the bush since there were no large creosote or other bushes within about 10 meters. I suppose the good bushes are taken by the adults and the juveniles have to take what they can get. 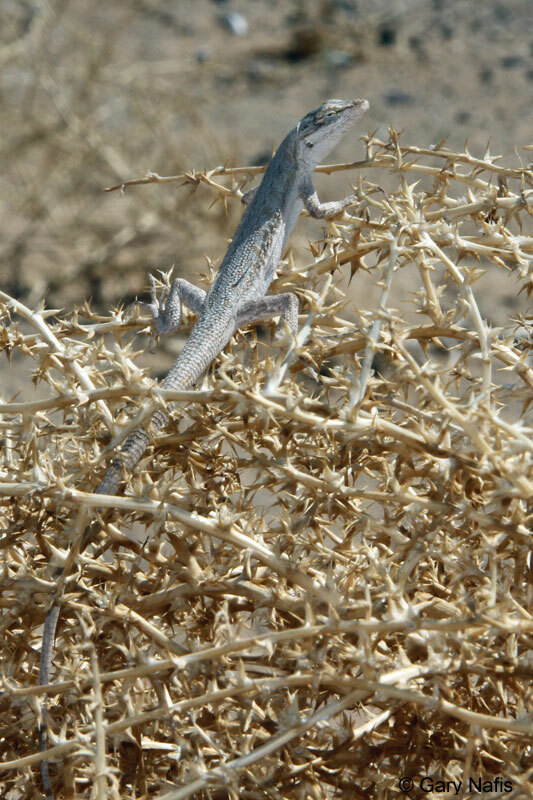 When I got too close for comfort, the lizard descended down into the tumbleweed. 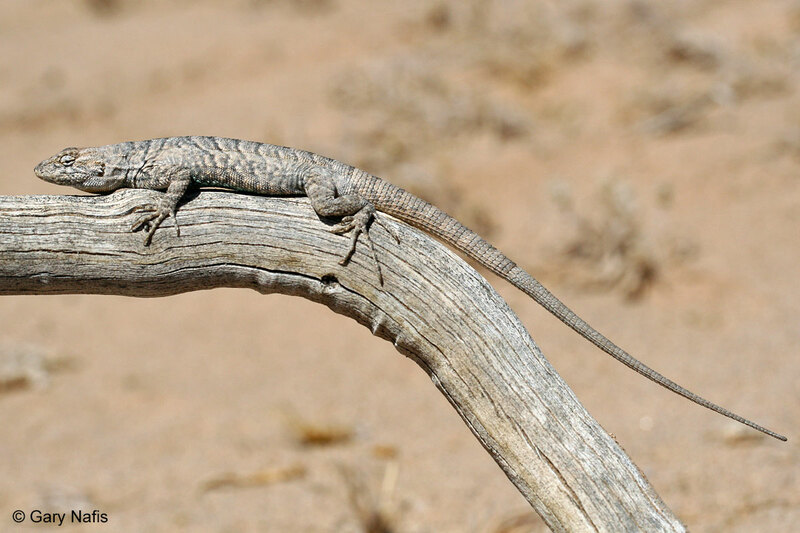 Adult, Yuma County, Arizona This Long-tailed Brush Lizard has been hung on thorns of a shrub in the Clark County Nevada desert by a Loggerhead Shrike, a predatory songbird that sometimes saves its prey to eat later by hang it on thorns or barbed wire. 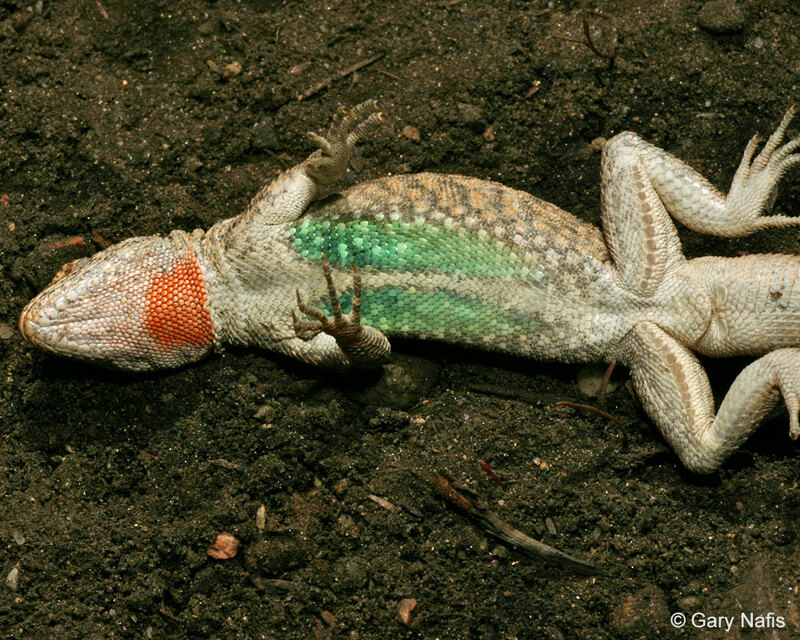 The Western Long-tailed Brush Lizard has a mixture of small granular scales and larger weekly-keeled scales on the dorsal surface. 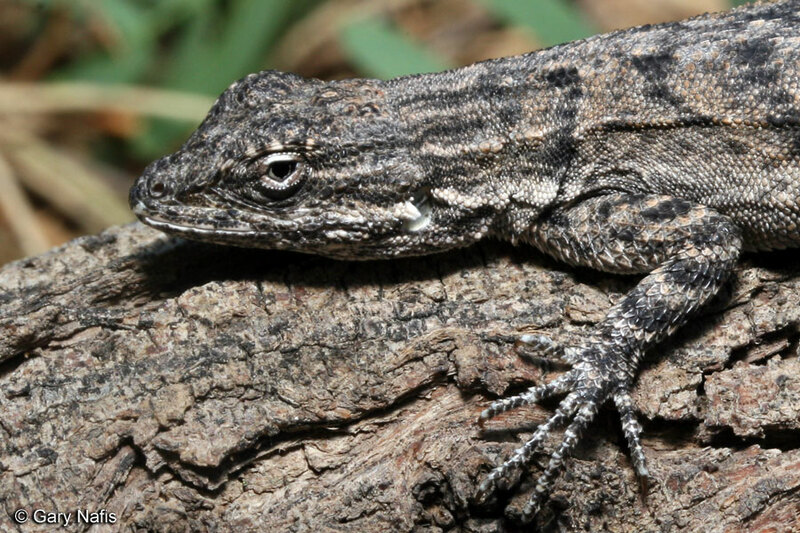 Ther are two other similar species of lizards that are found in California and share part of the range of the Western Long-tailed Brush Lizard - the Small-scaled Lizard and the Tree Lizard. 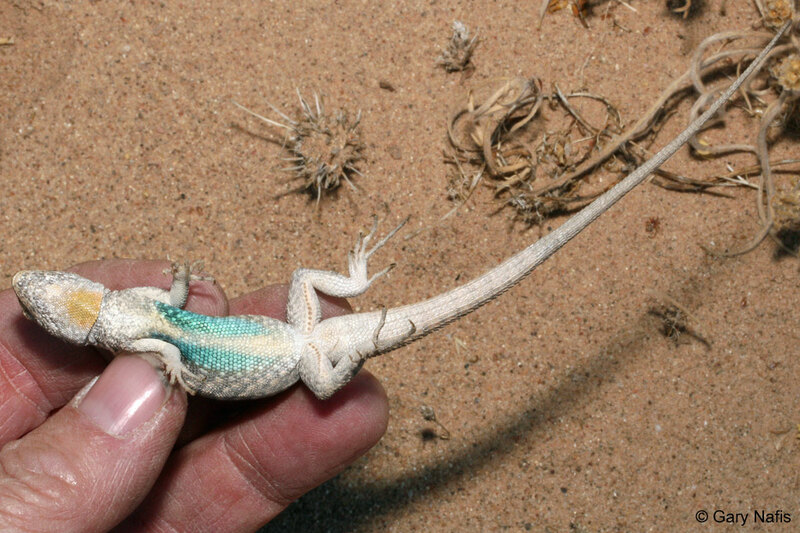 The long-tailed brush lizard has a longer tail than the other two species, but since the tail is easily lost and re-grown that characteristic is not always reliable. 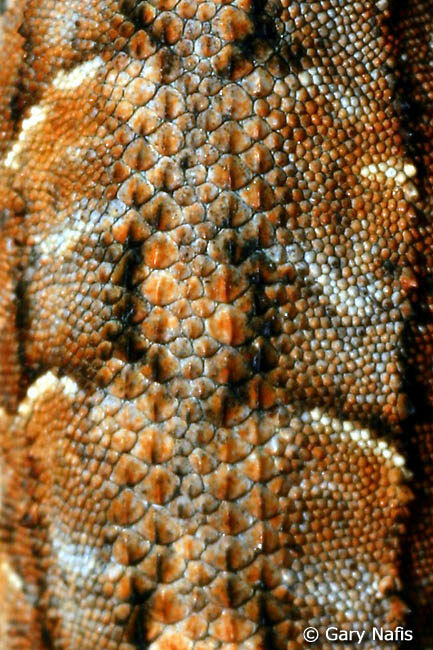 The three species can be separated best by looking at the wide band of enlarged scales on the middle of the back that is found on each species. 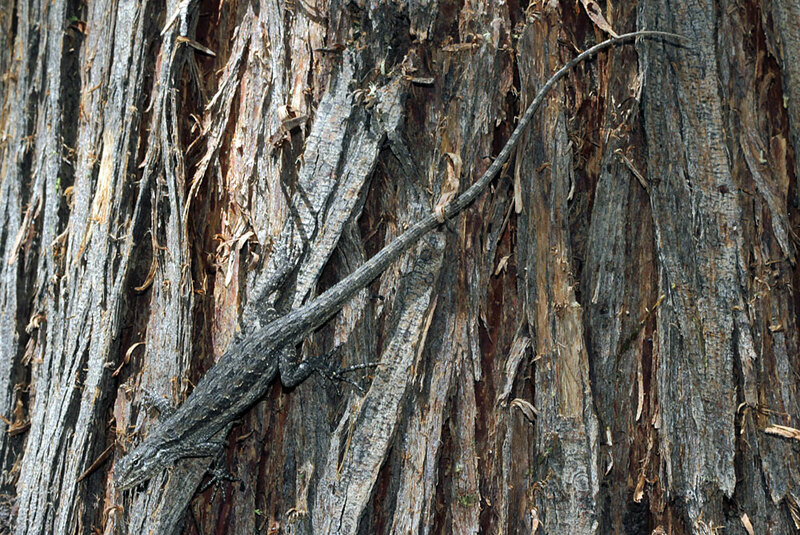 split in the center by a band of smaller scales. 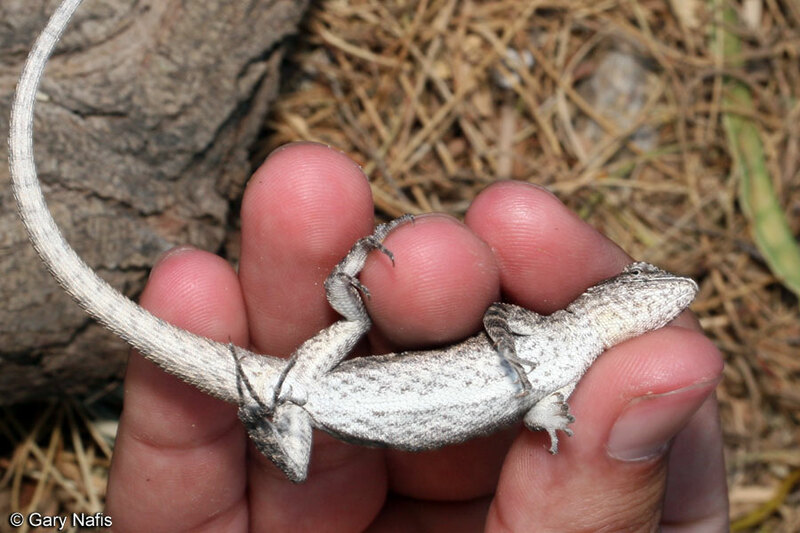 The wide band of enlarged weekly-keeled scales on the back of the Western Long-tailed Brush Lizard is not split in the center by a band of smaller scales. 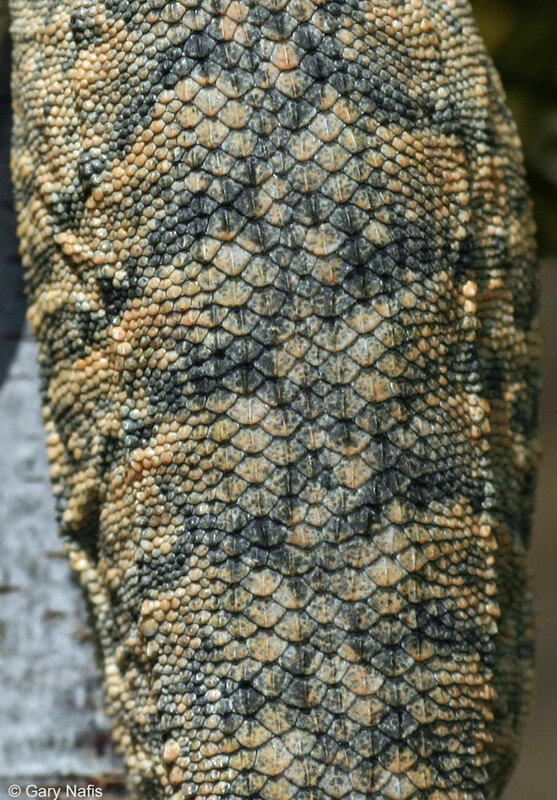 These enlarged scales are larger than those of the Baja California Brush Lizard. 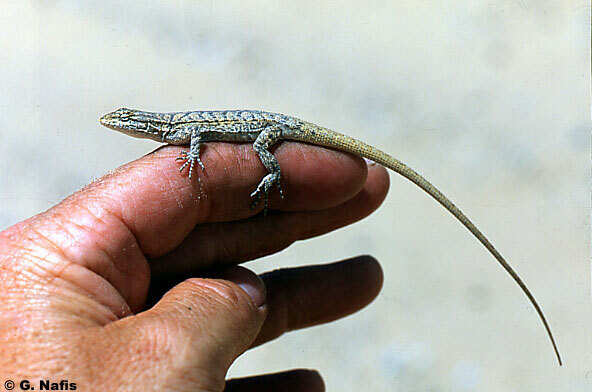 The Small-scaled Lizard has a band of slightly-enlarged scales on the middle of the back that are not split in the center by a band of smaller scales. 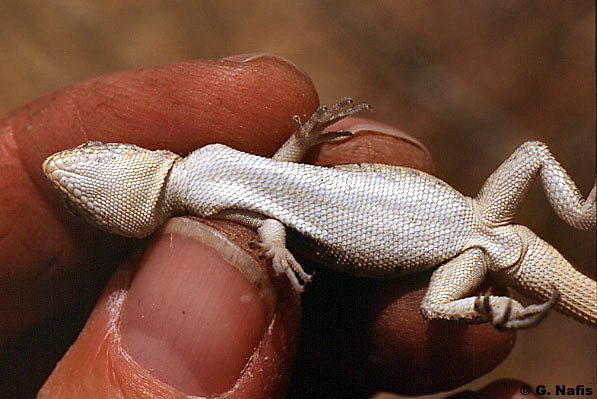 These enlarged scales are smaller than those of the Western Long-tailed Brush Lizard. 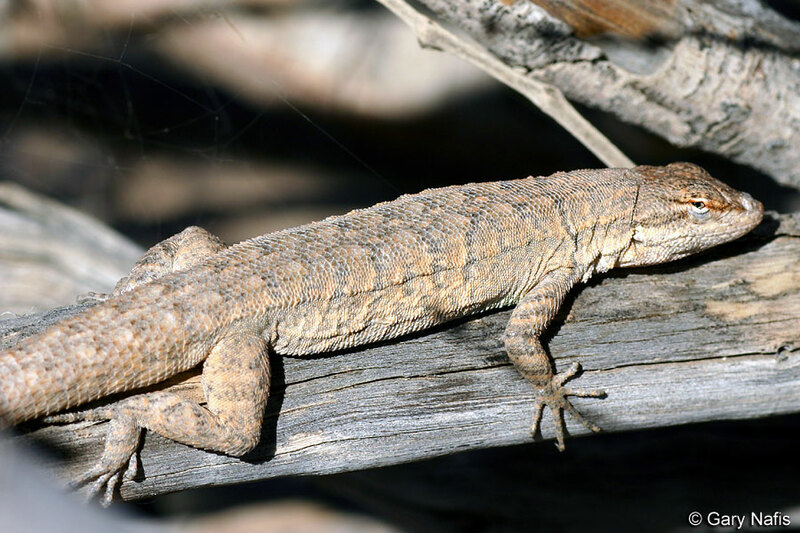 The Western Side-blotched Lizard - Uta stansburiana elegans - has small scales on the back with no band of enlarged scales in the middle, and typically has a large dark blotch on the sides behind the front legs. 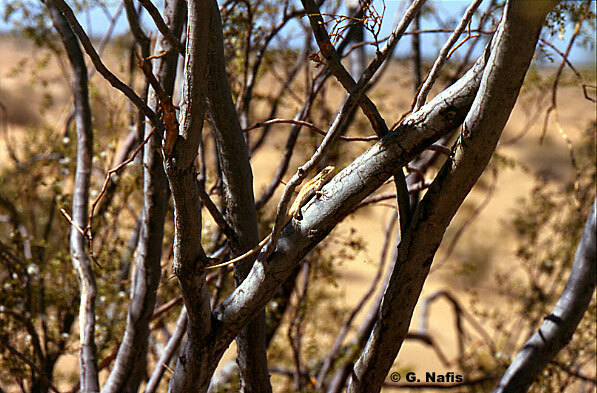 We slowly move up to and into the middle of a Creosote bush to find a Long-tailed Brush Lizard on a branch resting motionless and relying on its camouflage to stay hidden. 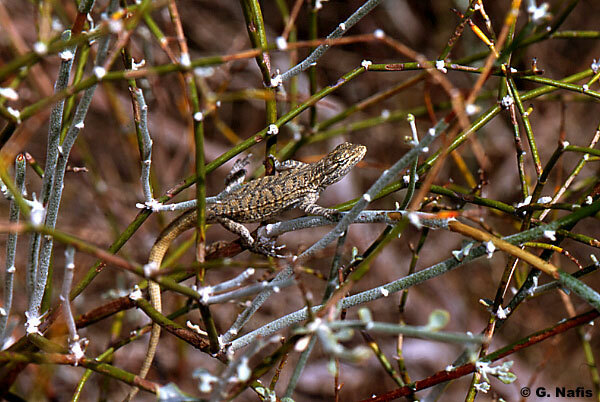 A Long-tailed Brush Lizard moves along a branch. It doesn't get more exciting than this. 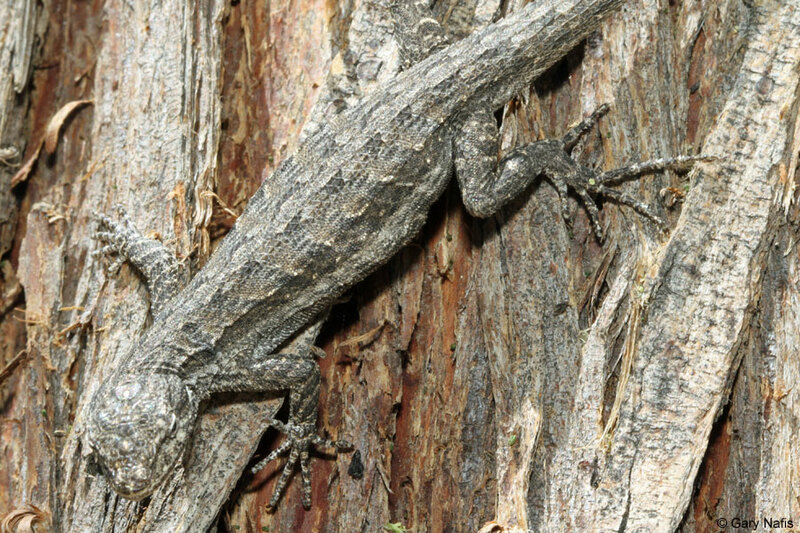 A small lizard with a very long thin tail, up to twice the length of the body that is stongly associated with shrubs and trees. 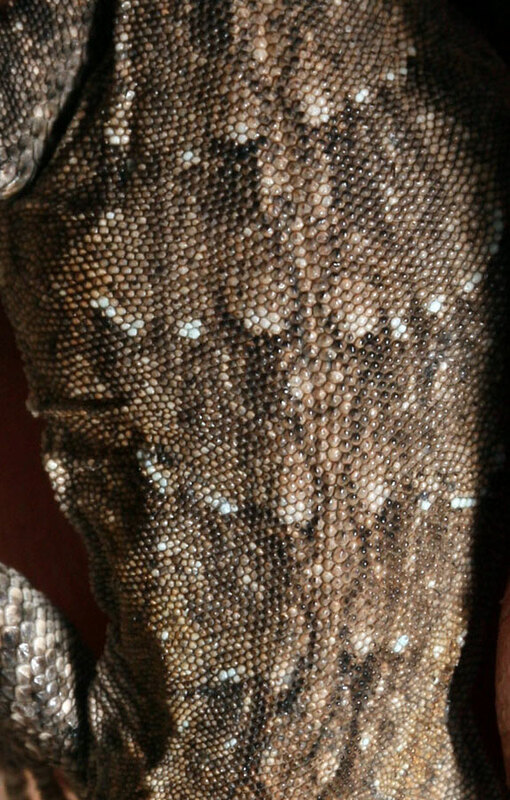 Scales are small, but there is a wide band of distinctly larger keeled scales down the middle of the back. A distinct gular fold across the throat. Color is grayish, light brown, or beige with faint dark irregular crossbars on the back. There may be a light stripe along the side. Able to quickly change from dark to light phase to match it's habitat. Males have enlarged postanal scales, and a pale belly with green or bluish patches flecked with white on each side of the belly, and an orange or yellowish patch on the throat. Females have a pale unmarked belly, and may also have orange or yellow on the throat. Tolerant of high heat (more so than Urosaurus ornatus). Active from March through fall. Often found basking on lower branches in the morning. Spends the night in burrows under a shrub or in the sand or at the tips of branches. Occasionally seen foraging on the ground and sometimes seen on roads at night. Relies on its cryptic coloring to act as camouflage as it lies still on a branch with the body and tail aligned with a branch. When spotted, it will quickly turn to the other side of a branch to hide from a predator, or run into a root tangle or burrow. Eats small invertebrates and occasionally some plant material. 1 or 2 clutches of 2 - 10 eggs are laid underground from May to July. Eggs hatch in about two months, with young appearing from July to September. Capable of living in hot areas with sparse vegetation. 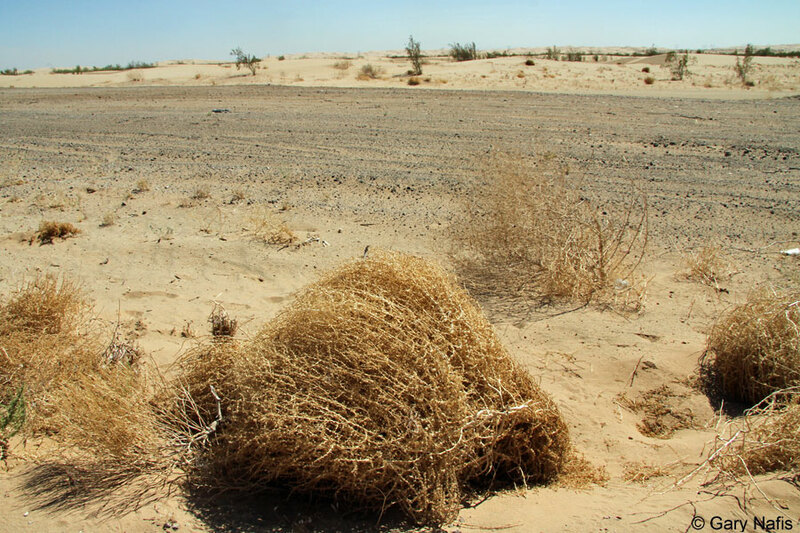 Found in the desert in areas where there are patches of loose sand and scattered bushes and trees, including creosote, salt bush, cat's claw, smoke tree, and mesquite. 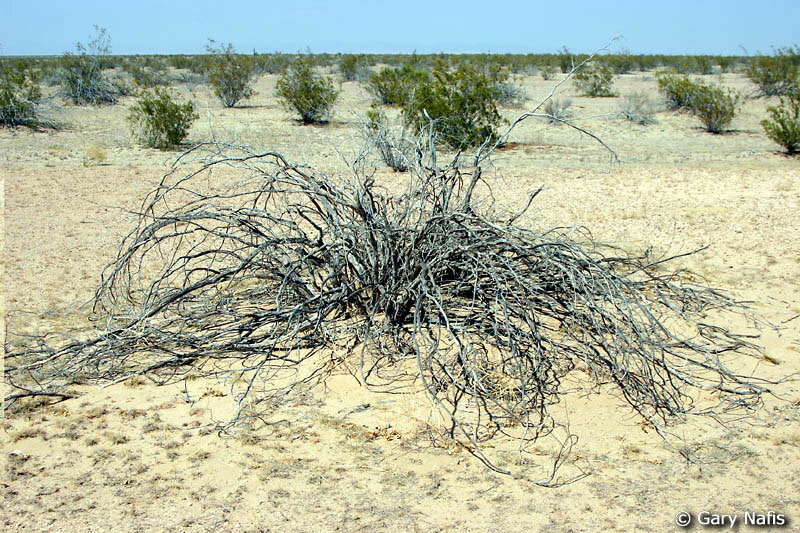 Favors creosote bushes with large exposed roots. 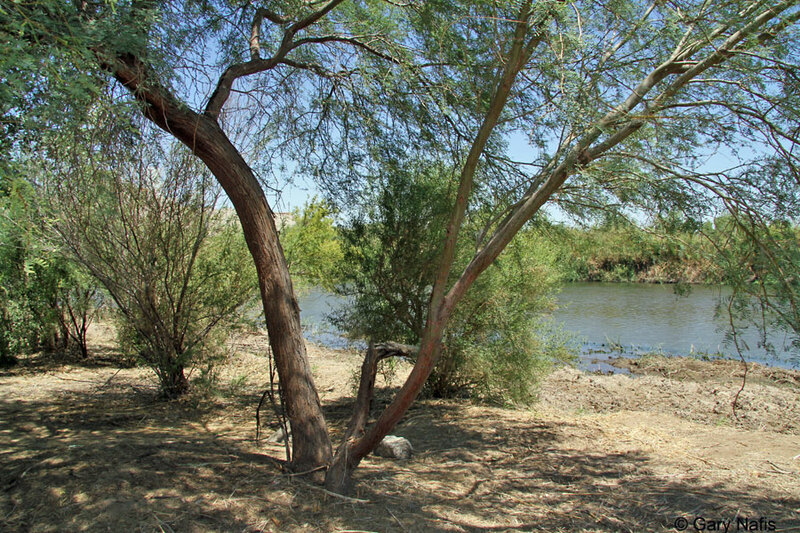 The subspecies U. g. graciosus inhabits much of the Mojave and Colorado deserts of California south into northeastern Baja California Norte and part of Sonora, Mexico, extreme eastern Arizona into extreme southern Nevada and just barely into Utah. 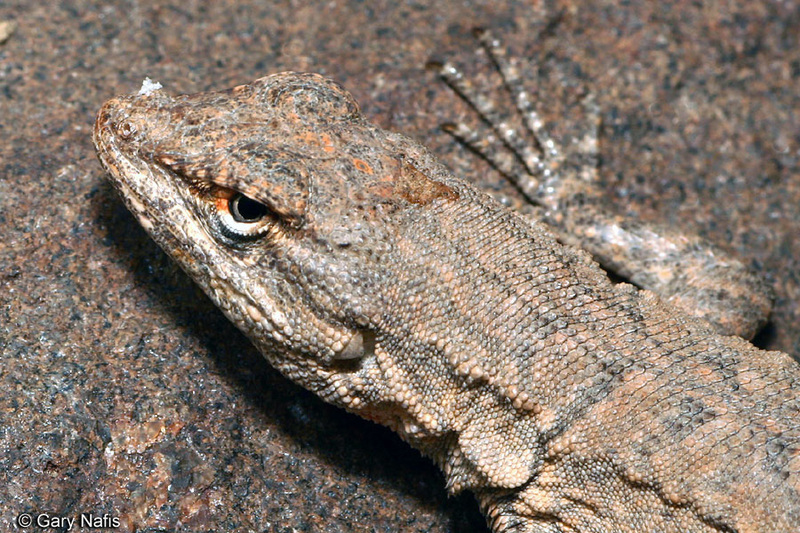 Another subspecies, U. g. shannoni - Arizona Long-tailed Brush Lizard, is found in south-west-central Arizona and extreme northwest Sonora, Mexico. 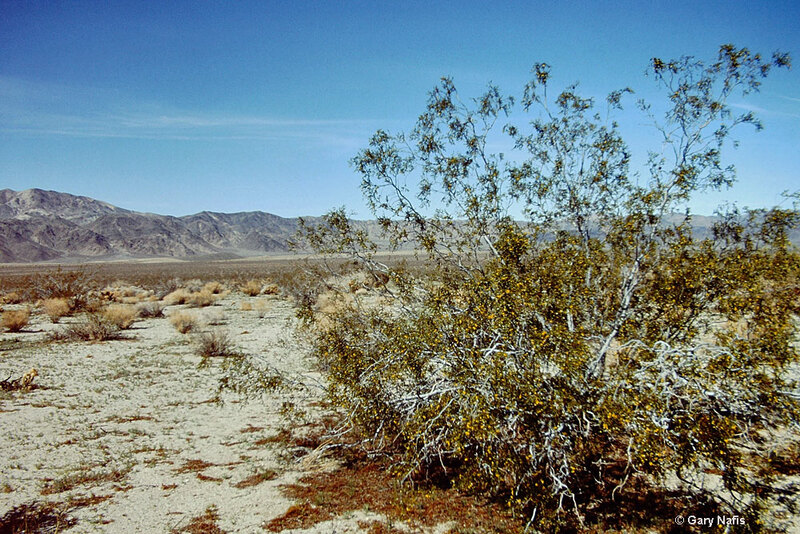 Most field guides show the western limit of the range of U. g. graciosus to be the western edge of the Mojave Desert where the Tehachapi and Transverse mountains meet in the Antelope Valley. The 1998 California Department of Fish and Game range map shows the western range limit to be near Barstow. I have found only one record for the species farther west than the Barstowarea, and that is one mile northwest of Rosamond which is labeled Los Angeles County, but is actually Kern County. Because of this record and a probable U. graciosus I saw pictures of from Palmdale, which is not far south of Rosamond, I have made the western limit of the range in that area. I have received a report of an extreme outlying record from the Inyo Mountains in Inyo County a few miles southeast of Big Pine that needs to be confirmed. From below sea level to around 3,500 ft. (1,070 m). 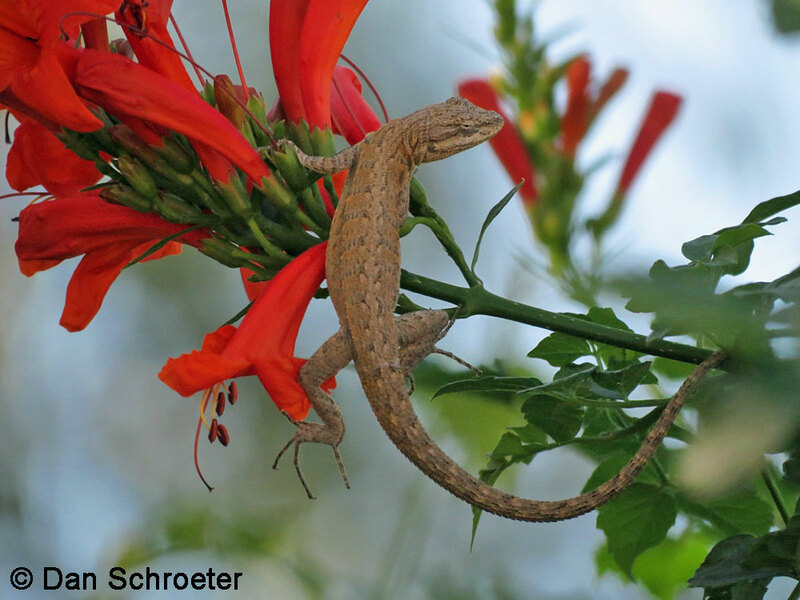 Two subspecies of Urosaurus graciosus have been recognized, but the subspecies with more prominent dorsal markings found in south-central Arizona - U. g. shannoni Lowe, 1955 - Arizona Long-tailed Brush Lizard, is no longer recognized by some sources. SSAR Herpetological Circular No. 43, 2017 lists the subspecies but shows this note: "Vitt and Dickson (1988, Cat. Am. Amph. Rept. 448) called into question the diagnostic characters used to separate the subspecies of U. graciosus, implying that there is little evidence for the existence of partially separated lineages." Stebbins, Robert C., and McGinnis, Samuel M. Field Guide to Amphibians and Reptiles of California: Revised Edition (California Natural History Guides) University of California Press, 2012. Stebbins, Robert C. California Amphibians and Reptiles. The University of California Press, 1972. Stebbins, Robert C. A Field Guide to Western Reptiles and Amphibians. 3rd Edition. Houghton Mifflin Company, 2003. Behler, John L., and F. Wayne King. The Audubon Society Field Guide to North American Reptiles and Amphibians. Alfred A. Knopf, 1992. Powell, Robert., Joseph T. Collins, and Errol D. Hooper Jr. A Key to Amphibians and Reptiles of the Continental United States and Canada. The University Press of Kansas, 1998.Bartlett, R. D. & Patricia P. Bartlett. Guide and Reference to the Turtles and Lizards of Western North America (North of Mexico) and Hawaii. University Press of Florida, 2009. Jones, Lawrence, Rob Lovich, editors. 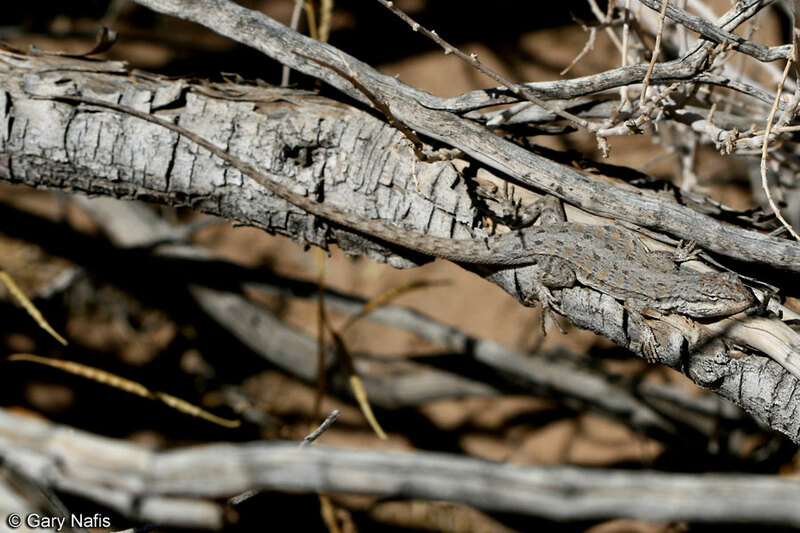 Lizards of the American Southwest: A Photographic Field Guide. Rio Nuevo Publishers, 2009. Smith, Hobart M. Handbook of Lizards, Lizards of the United States and of Canada. Cornell University Press, 1946. Lemm, Jeffrey. Field Guide to Amphibians and Reptiles of the San Diego Region (California Natural History Guides). University of California Press, 2006. The following status listings are copied from the April 2018 Special Animals List and the 2017 Endangered and Threatened Animals List, both of which are published by the California Department of Fish and Wildlife. If no status is listed here, the animal is not included on either CDFW list. This most likely indicates that there are no serious conservation concerns for the animal. To find out more about an animal's status, you can go to the NatureServe and IUCN websites to check their rankings. Check here to see the most current complete lists. This animal is not included on the Special Animals List, which indicates that there are no significant conservation concerns for it in California.